Casino MonteLãgo offers you an intimate casino setting where value and service is paramount. Just a few miles East of Lake Mead Drive, at beautiful Lake Las Vegas Resort, Casino MonteLãgo charms you with European style and hospitality and is reminiscent of a cozy 17th Century Tuscan winery. Casino MonteLãgo is located on a privately-owned and secluded man-made lake. The casino is situated in the upscale community of Lake Las Vegas, and is directly adjacent to MonteLago Village Resort with lovely condominium suite accommodations as well as at the award-winning Ritz-Carlton Lake Las Vegas. 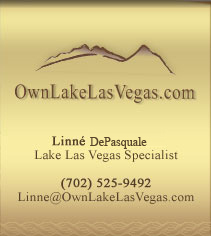 Across the majestic lake sits the newest member of the Lake Las Vegas family, Loews Lake Las Vegas Resort. With more than 580 of your favorite slot and video poker machines, live-action blackjack, roulette, craps and champion poker, plus a full service Leroy's Sports Book, Casino MonteLãgo offers a great gaming experience for penny to high-dollar players with more chances to win! Live entertainment is provided every Thursday - Saturday. Many events are coordinated to complement the events schedule for the MonteLago Village. To view the current events calendar for the MonteLago Village, Click Here! Tenuta Café is Casino MonteLãgo’s 24-hour restaurant and cafe serving breakfast, lunch and dinner favorites. Featuring quality food products, superior ingredients and top-notch service, Tenuta offers surprising value. Seating up to 120 guests, Tenuta specializes in fresh seafood, hardy steaks, king-sized sandwiches, pasta and salads. The restaurant also features an extensive, vintage wine menu to suit any palette. Seasonal outdoor dining is also available on a ground level featuring a fabulous view of the MonteLago Village and Resort. Breakfast is served daily from 6 a.m. to 11 a.m. Lunch is served from 11 a.m. to 4 p.m.
Dinner is served from 4 p.m. to 10 p.m.
Tappo Lounge is an intimate two-level entertainment oasis with plasma TVs showing all the sports action, video poker to fulfill your gaming desires, and plenty dining and drinking selections. Tappo Lounge is also proud to present an all new menu for your dining pleasure. Great casual dining fare, specializing in gourmet pizzas, sandwiches and wraps. Also enjoy outdoor dining on the Tappo Patio (seasonal) offering a gorgeous, birds-eye view of the MonteLago Village and Resort, The Ritz-Carlton and a glimpse of Lake Las Vegas. You can also catch all the sports action outside since the patio is equipped with four TVs, outdoor speakers, and cozy sofas. Although Casino MonteLãgo is Lake Las Vegas' exclusive gaming destination, it does not currently offer in-house accommodations. To view accommodations at its adjacent properties, The Ritz-Carlton Lake Las Vegas, The Loews Lake Las Vegas, and the MonteLago Village Resort Suites, Click Here! Featuring all your favorite brunch items: Roasted Prime Rib as part of a Carving Station, Peel-and-Eat Shrimp, Italian Specialties, Fresh Fruit, Assorted Salads, Made-to-Order Omelets, Pastries, Desserts, as well as Complimentary Mimosas, Bloody Marys, and Champagne! Try your luck on the Spin-til-you-Win Free Play Slot Machine located next to the Club Uno Promotions Desk. All new members are GUARANTEED from $5 to $2,500 in Free Play! You could be the next big winner! *Casino MonteLãgo Management reserves all rights to change promotion(s). Availability subject to change. Price(s) subject to change on Holidays and during Holiday Weekends. Free Slot Play may not be redeemed for cash, must be 21 to play.